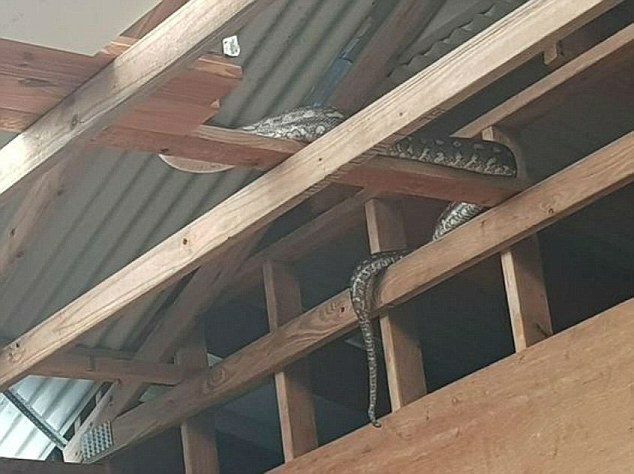 A lot of people are afraid of snakes, but they don’t have to worry about them because they live in areas where snakes aren’t a problem. This isn’t the case for Mr. Knills. 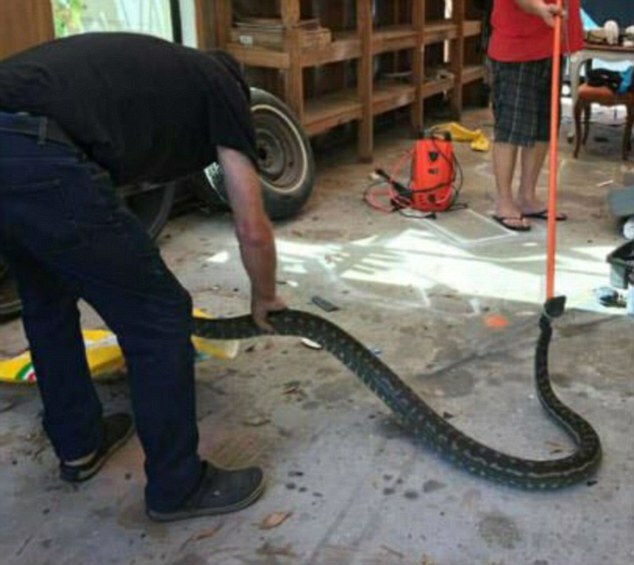 He doesn’t only have to worry about small snakes, but big ones as well. 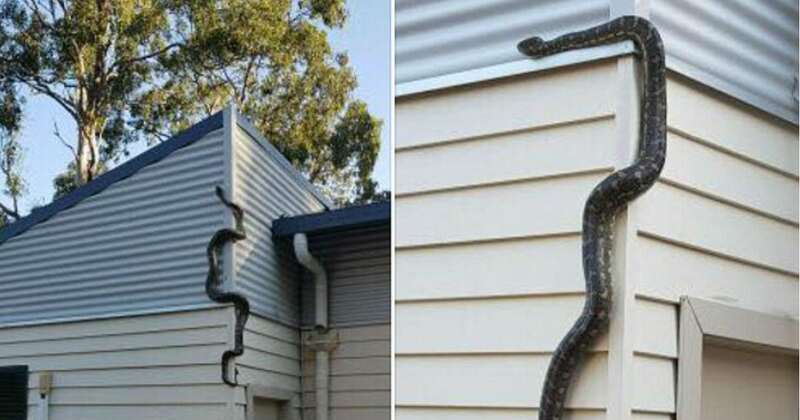 He was hanging out his laundry to dry when he saw a giant snake crawling up the side of his house. He wasn’t sure if anyone would believe him, so he had to videotape it. He grabbed his camera and filmed it. 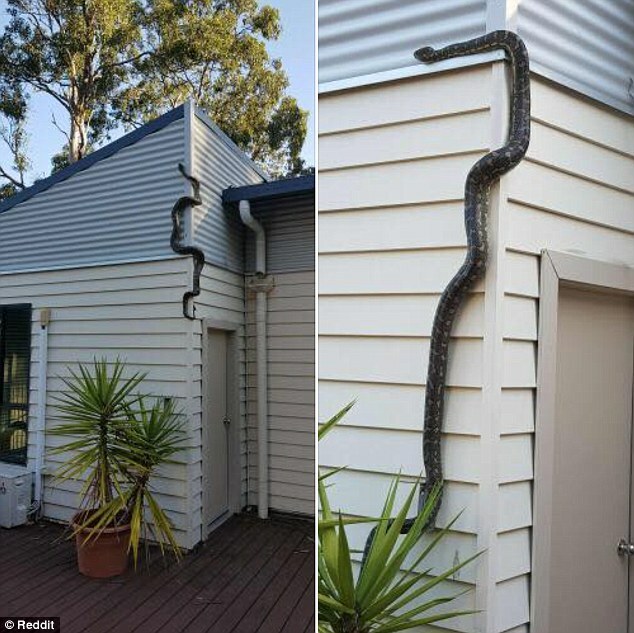 He had only walked out the door a few moments before the snake slithered out of the bushes, across his patio, and up the side of his house. Had he walked out a few moments later, he would have walked right underneath it. It’s not the first time Mr. Knills saw the snake, but it is the first time he got that close to it. The snake looks pretty big on the side of the wall, but Mr. Knills says it looks even bigger in person. He has even gone as far as to move the snake when it was in his way. 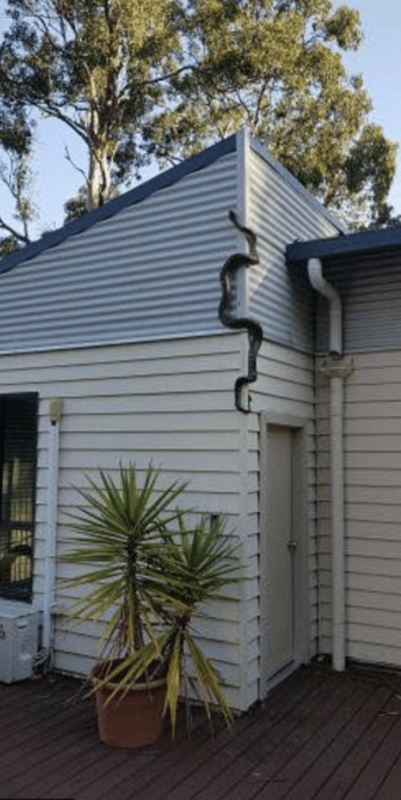 Mr. Knills may not mind the snake, but his wife isn’t too happy about it living near her home. Not many people would be thrilled about it. 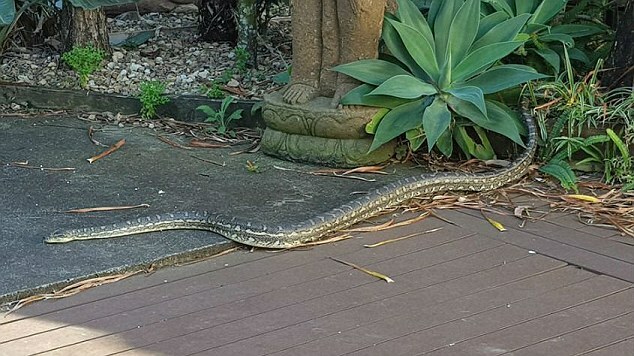 Mr. Knills doesn’t wish the snake any harm, and as long as it doesn’t hurt or threaten him or anyone in his family, he will let it live nearby. 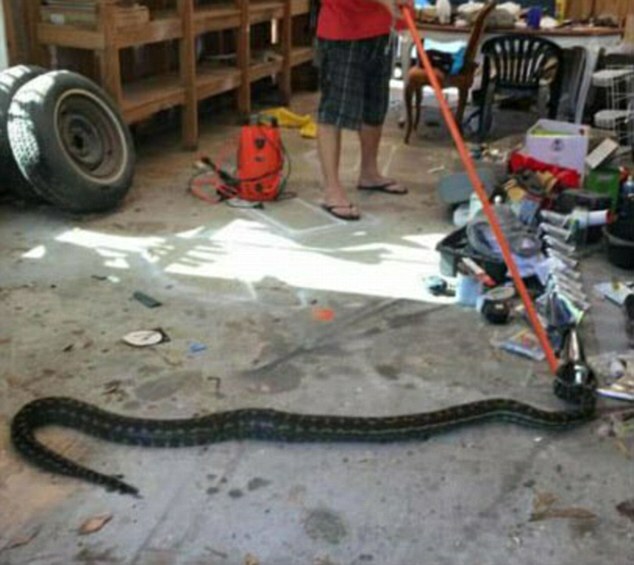 While he may have taken the photo to show how big the snake it, his story may inspire others to live alongside wild animals peacefully. In most cases, they just want to eat and be safe too. They won’t cause any harm unless they feel threatened, and animals are just afraid of people as people are afraid of them. This snake and Mr. Knills have a mutual respect for each other, and so far, that’s working out well for them.